We jumped on the bandwagon in August and never looked back. I won’t tell you about every little thing I’m eating this week. I tend to eat the same kind of cereal + frozen fruit most mornings, and the same kind of salads for lunch most days. 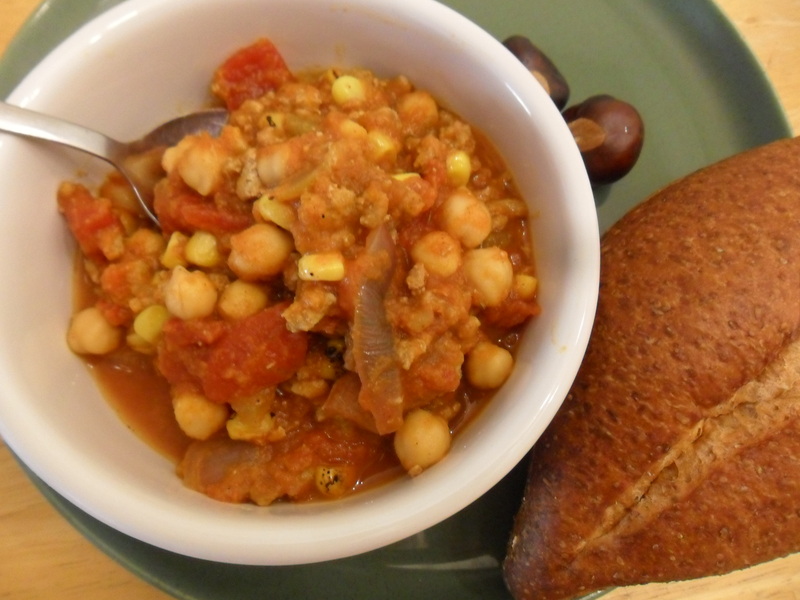 I will share the big meal of the week that we made for dinner each night: pumpkin chili! Plenty savory, and not as sweet as it sounds. 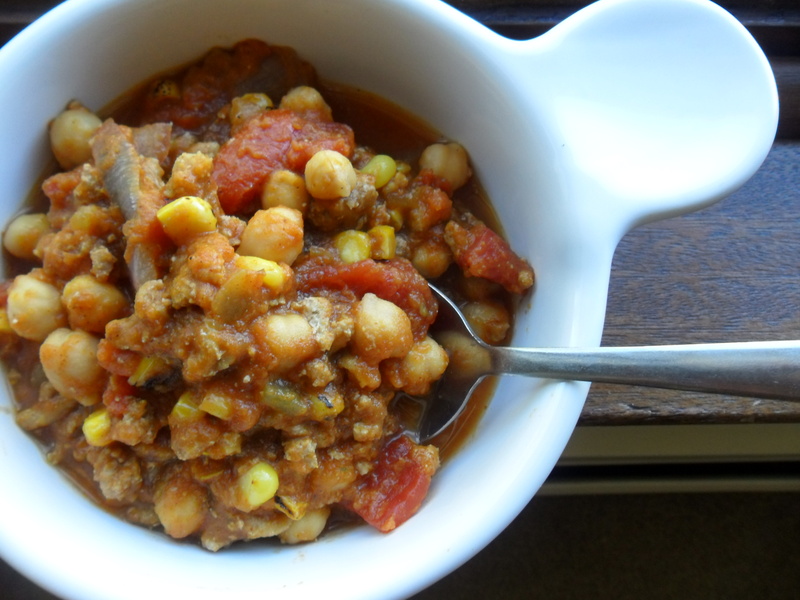 If you’re not a fan of eating the same thing every night, consider dividing this chili recipe into mason jars or airtight containers that can be frozen for a few weeks. I adapted this recipe from SnackGirl’s website. Click here for her 6-serving version. Read on for mine, which makes about 8-10 servings. -In a skillet, sauté onion in cooking spray or 1 T olive oil for 5-8 minutes (or ’til golden brown). -Add in ground turkey. Let it cook all the way through. Add remaining ingredients one by one, but don’t leave too much time between adding them. -Simmer for as long as you like. The longer, the better. 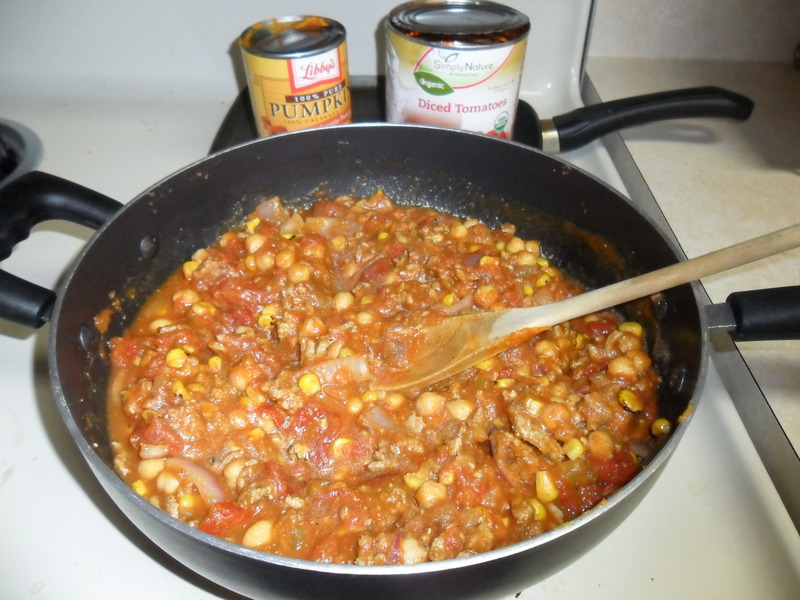 But if you let the chili sit for a half an hour, I’d add another 1/4 cup water to keep it from getting too dry.